29/04/2016 Lesjöfors has acquired the John While Group Inc, a Singaporean based spring company with subsidiaries in China, Thailand and Singapore. The acquisition strengthens Lesjöfors’s position in Asia and expands its customer base in several emerging markets. John While Group specializes in the manufacturing of customized springs. The Group’s customers include companies in home electronics/white goods as well as the engineering and automotive industries. Its largest markets are China, Thailand, Singapore and Malaysia, which account for approximately 80 percent of sales. Its customers include US and European companies with operations in Asia. John While Group conducts manufacturing operations in Singapore, China and Thailand. Its product range includes some 7,000 items. The company has 115 employees and reported revenues for 2015 corresponding to approximately MSEK 70. For JWG this acquisition strengthen the operation via becoming part of a group of companies being specialist in the field of springs and pressings. This will enable access to technical support and benchmarking possibilities that will be of high value for the further development of the JWG companies. “I am very pleased to having been able to place our company together with a specialist in its field and am sure that this will be positive for all our customers and employees” says Rhonda Willson, previous owner of the group. Over the years, Lesjöfors has conducted a number of acquisitions and established strong platforms in the Nordic region, other areas of Europe and North America. The acquisition of John While Group strengthens the company’s position in Asia, a region with high market growth and competitive manufacturing costs. Following the acquisition, Lesjöfors has 24 production units in 12 countries. 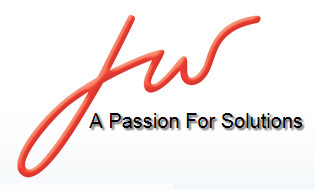 Lesjöfors will together with JWG strengthen the service and technical sales capabilities in Asia and offer our existing and new customers the opportunity to have most of their need of springs and pressings locally supplied. Lesjöfors and JWG look forward to more challenges to service existing and new customers in the Asian region. You are welcome to contact your local Lesjöfors Company or our CEO Kjell-Arne Lindbäck for more information, please see our web www.lesjoforsab.com for contacts and information about the Lesjöfors group.